Following mass worker action in Los Angeles, San Fransisco, and San Diego this week, an anonymous Uber employee—whose identity was verified by staffers at Medium—published an open letter in unequivocal support of the disgruntled contractors. The author, whose exact role and tenure are not stated, claims to be one of many within the rideshare giant who is sympathetic to the drivers who effectively prop up the venture. “Without them — as these courageous strikes have demonstrated — our business would come to a standstill,” the author states. 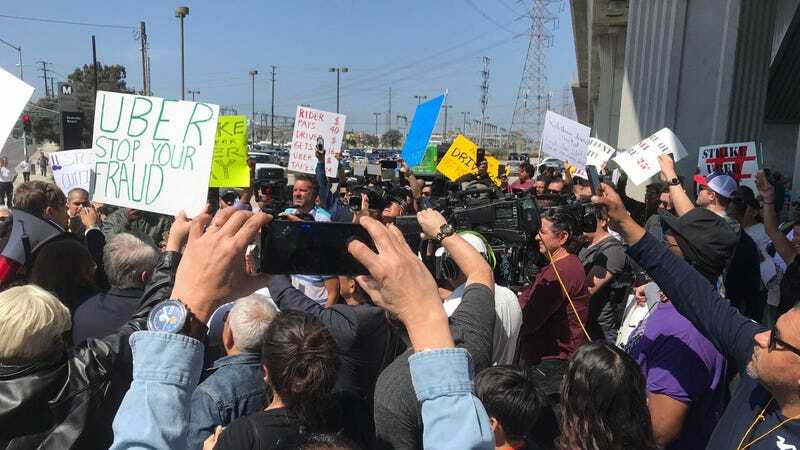 In a statement to press after their strike in LA, Rideshare Drivers United claimed that the drivers’ queue at LAX was “a third to a half” of its normal volume, indicating the proposed 25-hour strike had met with considerable success. Beyond solidarity for these specific actions, this employee also backs several of the proposals RDU is agitating for, including fair pay, transparency, an end to the contractor model that strips drivers of basic employee rights, and the ability to have a voice in the boardroom. “As an employee at the world’s leading ride-share company, I see firsthand not only the often meager earnings of our drivers, but also the exploitative labor practices imposed on a systemically disempowered workforce,” the author wrote. Backlash within tech companies has been sweeping across a number of the tech sector’s biggest names, from a variety of worker actions at Google, to open letters at Amazon, Microsoft, and Salesforce (many specifically related to business relationships with the highly unpopular and brutal Immigration and Customs Enforcement agency.) With IPOs either underway or expected soon which will make some at Lyft and Uber extraordinarily wealthy, it’s possible we’ll see tensions rise within gig economy companies as workers of all stripes vie for more equitable arrangements. Read the letter in full on Medium. And if you’re an Uber worker with thoughts on the driver strikes, reach out to us by email, on Keybase, or via our Secure Drop server.